Class 2C are enjoying show and tell. They have brought things from home that they want to show and news from home that they want to tell us about. 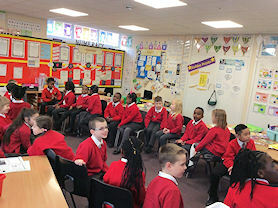 Year 3B took part in a 'Would you rather...' activity. We looked at different situations and discussed which we would rather do. We had to give reasons for or against and justify our argument. It was fun seeing how different our opinions can be and the reasons why. 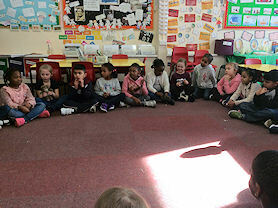 Year 2 enjoyed a circle time talking about what makes a good friend and how we can be a good friend to each other. We decided that the best friends are people who are kind to us, help us and share things with us. Mr Barton read us a story about a bear who was unkind. He became very unhappy because nobody came to his birthday party. He soon realised that when he was kind to people, they were kind to him too. We talked about how we can make other people happy by saying kind words to them. We practised saying kind things to each other and by the end of the assembly, everyone was smiling. 1F talked about how our feelings can be like the weather and created sounds to represent this. We also played pass the smile to see how quickly we could change each others mood and how we could work as a team to move the tambourine around the room without making any sounds. 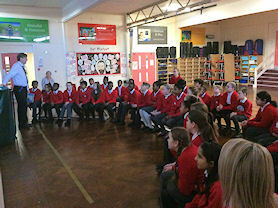 Year 3 had their wellbeing and mindfulness assembly this week and they learnt some amazing and calming techniques. The children really enjoyed reading the story about Jenny and her bag of worries. 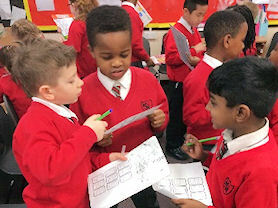 Year 3 now understand that a problem shared is a problem halved. This allows us to concentrate on our soul, body and mind. During circle time this week, 3B talked about what qualities they looked for in friend. We then discussed the qualities we had to offer to make us a good friend. Our School Councillor also showed us a game ‘Friendship bingo’ where we looked for friends in the class who had different qualities. We had a lovely time finding out new things about our friends. 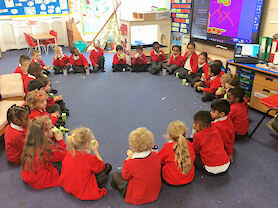 Reception carried out their circle time. In the session they discussed what it meant to be proud of something and some of the things that you might be proud of. The children then took turns going around the circle and shared something that they were very proud of. Year 4's first Circle Time. 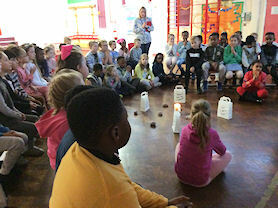 Year 4 had their first circle time. We followed on from our Wellbeing Assembly and talked about the story we had read. We discussed how sometimes you can be feeling ‘blue’ but you show the rest of the world that you are happy. We each pulled out a class members name from a pot and wrote something nice about them. The children enjoyed reading and sharing the compliments they received. 1F had their first circle time where we spoke about ourselves letting everyone know our likes and dislikes. We also shared our skills and talents that we can use to help others in our class and around school. We now have people we can go to that will help us with our zips, finding lost property and help us to get dressed after PE. 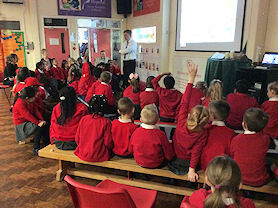 Year 4 had their first wellbeing assembly. We discussed what wellbeing is and how we need to ensure we take care of our mind as well as our body. 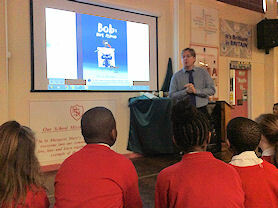 We read the story ‘Bob’s Blue Period’ and discussed how Bob Felt in the story when his friend left him. We talked about how our friends can feel blue sometimes and what we might do to cheer them up. 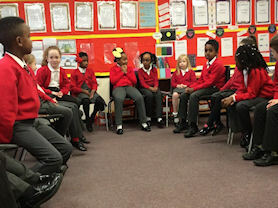 Class 3B held a circle time where we discussed our futures and what we thought our calling was. The class shared some lovely ideas about what they hoped for in the future. Year 5's assembly on wellbeing. We spoke about what makes us sad and we discussed the book and it topics. We looked at what Michael does when he is sad and if that would work for us. Year 5's first Circle Time. 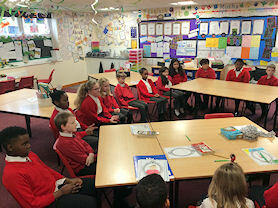 We held our first Circle Time in Year 5. 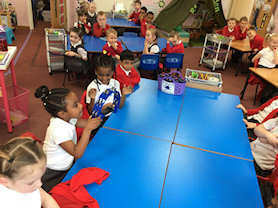 Our Circle Times are a chance for children to discuss their thoughts and feelings and to have their own voice in school. Today, we introduced circle time and we spoke about the atmosphere we need to create in these sessions; a calming and supportive atmosphere. We had suggestions for what could be discussed in future circle times and will continue to have these sessions on a weekly basis. Year 5 enjoying activities at Mindfulness Club. 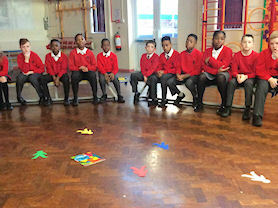 At lunchtime, the first Mindfulness club started. 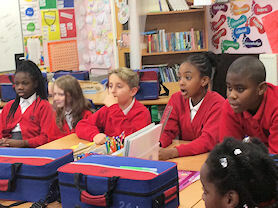 Year 5 will be attending the club weekly and will be working on achieving levels of mindfulness, which they can then share, with others in the school. 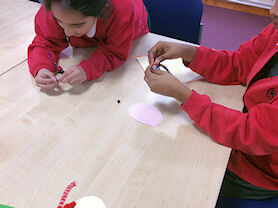 The first session involved making bracelets using beads. The children enjoyed this quiet time to reflect and focus on an enjoyable activity. Year 6 in their Mindfulness assembly. Year 6 gathered for a mindfulness assembly led by Mrs Logue, who led the children in story about feelings and mood changes. In the story, colours were given to the different moods experiences. 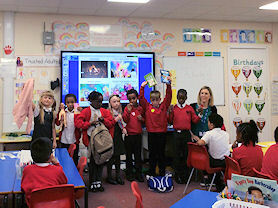 The children were encouraged to share their colour for the day and given the challenge to make their colour (mood) brighter throughout the day. 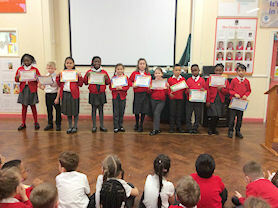 Children with their awards for PE. Miss Fellows led Years 1 to 6 in a PE achievement assembly. In order to promote children’s wellbeing our PE assemblies encourage the children to aim towards an active lifestyle. Miss Fellows reminded the children that a healthy body leads to a healthy mind. Awards were given for skill, sportsmanship and great attitude for each year group. What an enjoyable celebration of achievement.